Clare joined Campden BRI in 2008 having previously worked as a Police Officer, a Wine Salesperson, and in Computer Recruitment and Forensics. Clare is the person to call if you would like to know more about becoming a Member , if you would like to arrange to come and visit our site our site and facilities. She would also love to hear from you if you would like to refer a potential member to us. Outside of work Clare has recently rescued a young yellow labrador called Moses so, when not in muddy wellies throwing ball for Moses (he is totally ball-obsessed! 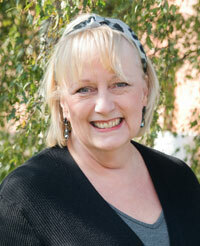 ), she loves cooking for friends and family and being by the seaside or near lakes and rivers. Tell us something about yourself that might surprise us? What was the last concert/gig you attended? Which cartoon/storybook character do you identify with most? Wake up in a luxury hotel overlooking the Salcombe estuary on a warm, early summer morning. After breakfast on the balcony I take a long walk with hubby and Moses, on the coastal path, ending at a Michelin starred pub for a local crab salad washed down with a delicious chilled St Veran, (produced by our friends Giles and Joelle Morat) in the garden. Then I’d head to New York where I would help serve champagne and canapés at my best friend, Kim Zachman’s, new book launch event. The rest of the afternoon would be shopping where I would come across a designer shoe shop, with a 90%-off sale, of course. The evening would end with a big get-together of family and friends at a villa right on the beach in Puerto Pollenca, where we would be cooked a fabulous local meal and served amazing wines as we watch the sun set over the ocean. 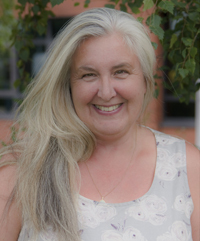 Angie joined Campden BRI in 2013 having previously worked overseas as a Diving Instructor, as a Sales Manager in Adventure travel and Operations Manager for an aviation school in Warwickshire. Outside of work Angie loves to be in the vicinity of, or ideally, in the ocean; whether scuba diving, dinghy sailing or just out walking coastal paths. She is a regular visitor to the Royal Shakespeare Theatre, very active in her local scuba dive club, and is also a keen photographer. I have been practicing Tai Chi for 5 years and participated in many practical demonstrations for the Shakespeare Birthday parade in Stratford-Upon-Avon. The Stranglers and they were awesome –though I have a very diverse choice in music! Active and outdoors in the sunshine: starting with a dive in clear blue water with visibility as far as the eye can see, with manta rays, humpbacks and dolphins in Mozambique, then I would hop in my time machine, and with a lovely tasty picnic, containing the best cheese rolls imaginable and smoked salmon, go on a walk or cycle ride along the coast in Lanzarote ending at the top of cliffs of Famara. As the sun descends, I would enjoy the sunset with a nice bottle of Veuve Clicquot. Then, because anything is possible, a quick swim in the warm ocean followed by a meal with my best friends, all together, feasting on a deliciously prepared medley of gorgeous Spanish Tapas. Dawn joined at Campden BRI in 2014. She keeps the membership database up to date and is the person responsible for Membership Fee Invoices, joining and log-In Instructions and Membership certificates. Please let Dawn know if you have any changes in personnel or address details. 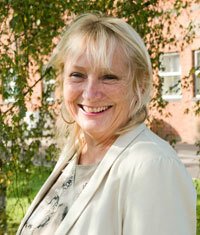 Outside of work Dawn is a keen horse rider, enjoys walking, gardening and home improvements. Dawn has her own horse and a small holding where her family keep Cotswold sheep and she did have chickens until she got fed up with feeding the local fox! I would start with an early morning trek on horseback across the downs in Wiltshire. Then I would head to Cannes and eat Calamari by the sea for lunch. After this I would go back to Pompeii followed by delicious freshly cooked Cannelloni and Prosecco. I would finish my day back in Chipping Campden having a drink in the Lygon (The Lygon Arms) with friends. 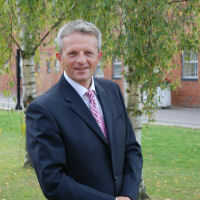 Bertrand started at Campden BRI in 1988 and worked in various technical departments before becoming Head of Membership in 1993 and Head of Membership and Training in 2000. Betrand holds a Master of Food Science & Technology and a Master of Business Administration. For the last 25+ years, he has been supporting companies of all sizes across the whole agri-food supply chain to survive and grow; providing support in areas related to food safety, quality, exporting, efficiency of operations/sustainability and innovation (product, process and packaging). Bertrand is passionate about food safety/quality, training, learning and development, and achieving culture excellence in food businesses through behaviour change. I am also passionate about encouraging young talents to have a career in the food industry. Outside of work Bertrand keeps himself fit as a butcher's dog by competing in cycling and running events – which is probably necessary given his love of fine food and wine! I can move my ears and I can move them independently! Lucky Luke or Tintin or Asterix…tough one! After a good night digesting a family banquet from Ottolenghi’s, being woken up by the sun peaking through the window of a boutique hotel in a tea plantation in Sri Lanka, “greeting” the new day with my lovely wife Sue, then cycling and running part of the Cotswold Way followed by horse riding bare-back on a beach in Morocco. Lunch at the Baron Rouge in Paris followed by a couple of hours skiing in the Trois Vallées and a tandem bike ride on Ile de Ré. Finishing the day at the Manoir aux Quat’saisons and a menu degustation.